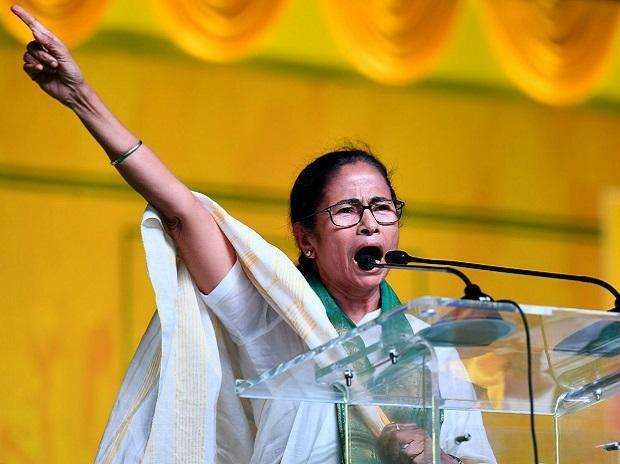 Trinamool Congress supremo Mamata Banerjee Wednesday came out in suppport of DMK leader Kanimozhi, whose residence was searched by central agencies and said Prime Minister Narendra Modi is trying to threaten parties opposed to him. Kanimozhi is being harassed as DMK is opposed to BJP's divisive politics in south India, she said. Charging Modi with ruling India by the "decree of fear", Banerjee said that the country has never seen such a prime minister who is feared by everyone "instead of being loved and respected". "It is a shame that BJP is using central agencies against opposition leaders and parties to harass them. Yesterday the Income Tax(department) without any reason raided Kanimozhi's house. Just because DMK and its leader M K Stalin are opposed to Narendra Modi and BJP, they (DMK leaders) are being unneccessarily harrassed," Banerjee said at a rally here. Ahead of the April 18 Lok Sabha polls, election officials assisted by those from the I-T department Tuesday held searches at the residence of DMK leader Kanimozhi in Tuticorin in Tamil Nadu from where she is contesting. DMK president M K Stalin in a statement at Chennai said the raids were an outcome of "fear of a damning defeat," for BJP's candidate Tamilisai Soundararajan in Tuticorin. "For us a leader is such a person who is loved and respected by people from various sections of the society. But for the first time since Independence, we have a leader like the prime minister who is ruling the country by a reign of fear," Banerjee said. She alleged that Modi is threatening everybody and everybody is afraid of him and added "It is a shame that a person who was baptized in politics through riots is leading the country".